One of the biggest costs of running a retail business is space. Retail space is not cheap. The cost of the space itself, plus the accompanying bills, quickly add up, and you can find yourself struggling to stay afloat in a space that is rapidly eating up a lot of your available cash. Luckily, there are alternatives to traditional retail space which can save you a lot of money and hassle. Below are some of the ways that a self storage unit can save you money as a retail business. If you are running a retail business out of your home or a small office space, you are going to find that your inventory (especially as the business starts to grow) can take up an unmanageable amount of your floor space. Many business owners realize that storage pricing looks a lot more appealing once they calculate how much money it could save them on inventory storage. If you are new to running your own business and haven’t looked into storage pricing for all the important business documentation you are going to be accumulating, you should. Customer and vendor receipts and records, as well as tax information and delivery orders, will start to pile up and clutter your workspace if you don’t have somewhere to put them. A self storage unit can help a growing retail business make sure it always has work space available that isn’t clogged up by paper work. When you start to compare storage pricing with the cost of commercial real estate (especially if you live in a hot real estate market) you may even decide that running the entire operation out of a self storage unit is a good idea. 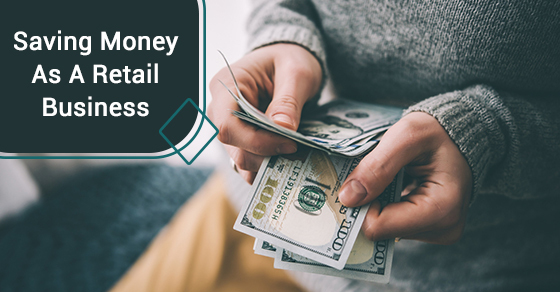 Many retailers have come to that conclusion, and have saved themselves a considerable amount of money by operating out of a self storage facility. Once you start accumulating inventory and have valuable goods on the premises, you are going to become a target for thieves. That’s just the way it is. Part of being a retailer means protecting your items from people who want to steal them from you. If you are worried that your brick and mortar store is too vulnerable (maybe it is located in a crime afflicted area), and you would like some extra peace of mind, keeping inventory locked up in a secure self storage facility might just help you sleep better. Storage pricing is competitive and flexible, meaning you can tailor and re-tailor your space to meet your needs as they arise. Consider the above benefits of growing your retail business by investing in a self storage unit, and blow the competition away by cutting your costs.